Metro is getting safer. 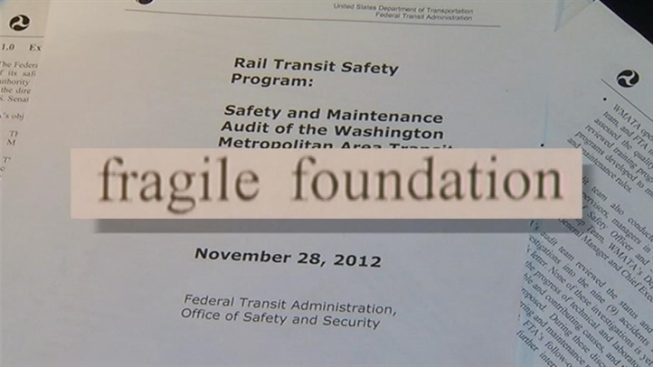 That’s the message of a new federal audit of the transit system. But it also warns that more problems could be ahead if Metro doesn’t continue to improve. “Any major changes in personnel, relaxation in attention to safety, reduction of resources devoted to safety, or reemergence of complacency in the reporting and investigation of unusual occurrences and conditions could easily reverse WMATA’s gains,” the report says. Sen. Barbara Mikulski (D-Md.) called for the audit by the Federal Transit Administration after several incidents over the summer including a derailment, randomly opening doors and a computer failure that shut the system down twice in 24 hours. In response to those issues, the audit offered several recommendations, including: A more thorough investigation of the heat kink that cause a Green Line train to derail in July; taking steps to reduce the risk that railcar doors will open while moving; and more precautions to protect workers in rail yards. Metro said it will work to implement those recommendations.